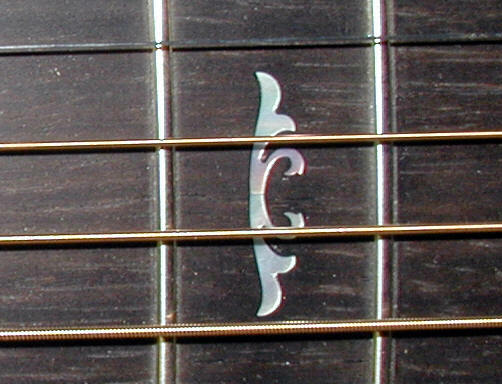 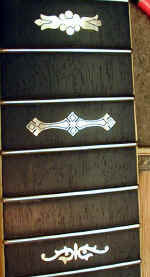 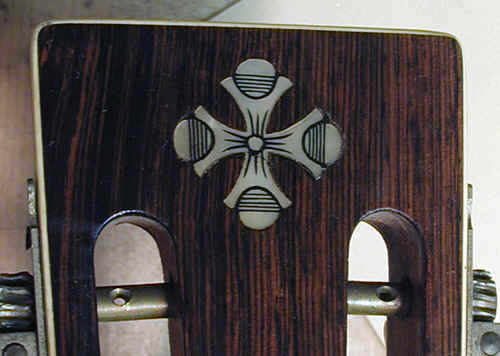 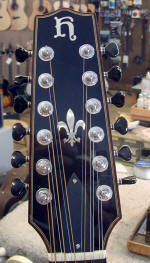 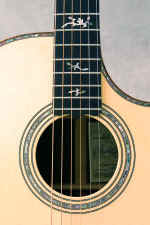 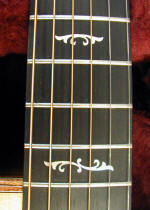 This is one of our standard inlay patterns. I have it cut by Larry Robinson, who is one of the very best pearl cutters in the country. 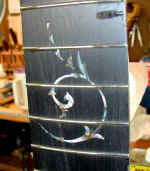 He does beautiful work, at a reasonable cost (I charge $450 for this pattern.) 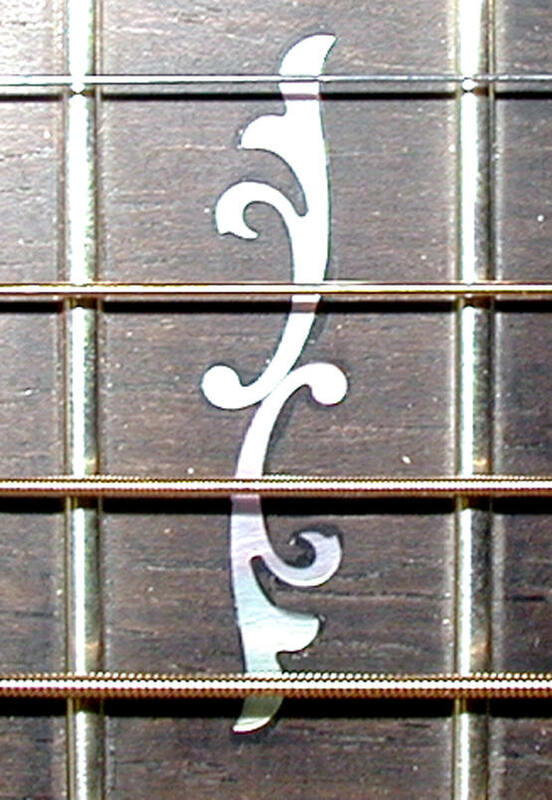 Click on the photo for the full size image. 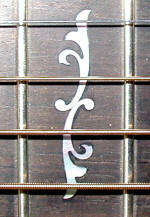 Click on photo for the full size image. 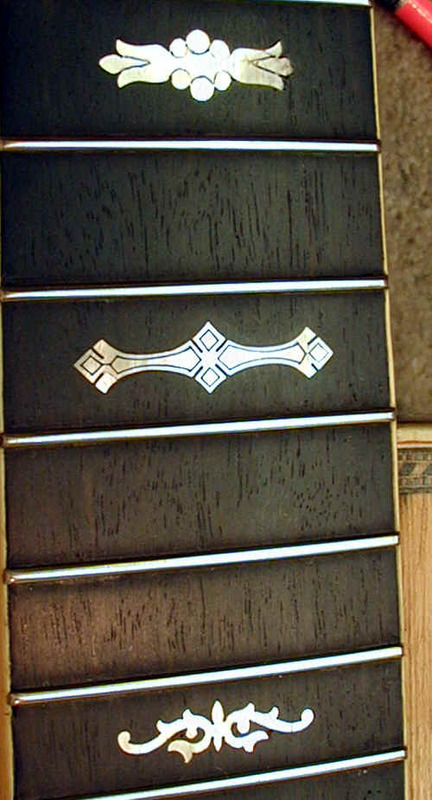 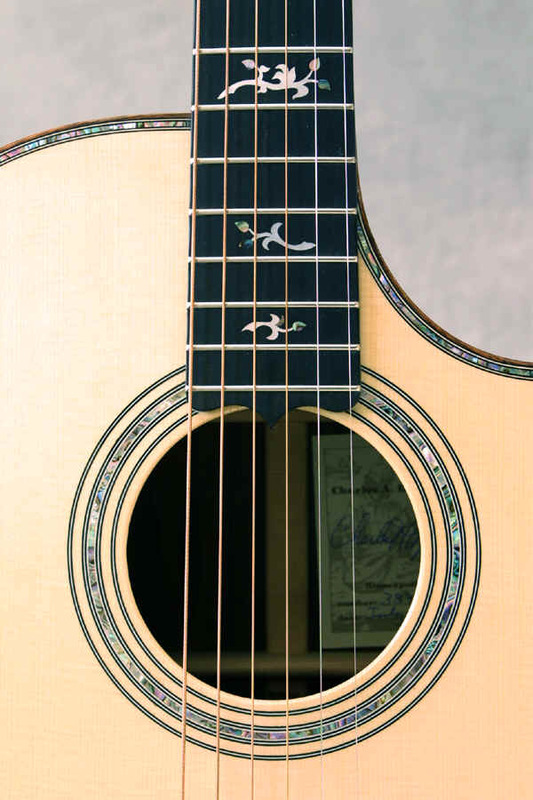 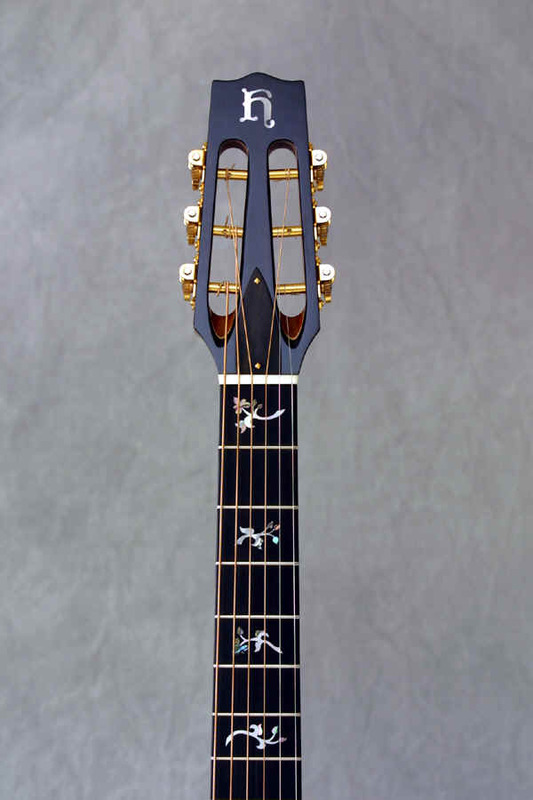 Here are some of the standard "snowflake" inlays that are available - both in pearl and abalone. 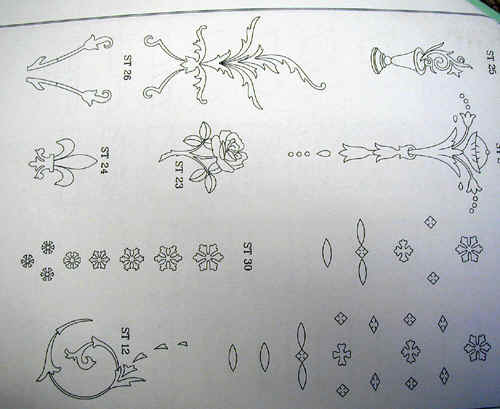 This sheet shows some of the commercially available patterns which we can get. 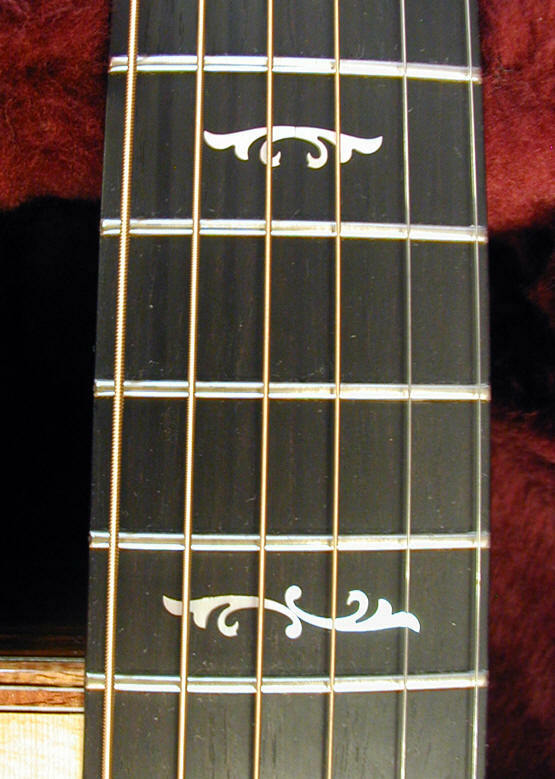 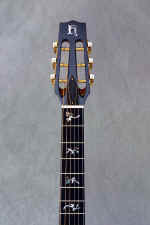 generally they follow some of the old martin and Gibson patterns.